This year as part of our Cambria County Arts and Heritage Festival, we will merge our paranormal event with festival. Stan Gordon, John Ventre and other guest speakers will provide lectures, and have a booth whereby they will sell their books etc. We are also looking into a hands on walk thru the forest as Stan will demonstrate the art of casting tracks etc. Join us September 21 & 22 2019 as we explore the many new sightings in the Laurel Highlands. Stan is his weather and radio communications center. Stan Gordon was trained as an electronics technician who specialized in radio communications. 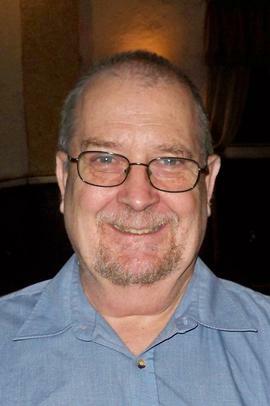 He worked in the advanced consumer electronics sales field for over forty years. Stan has lived in Greensburg, Pennsylvania all of his life. Gordon began his interest in the UFO subject and other strange incidents at the age of ten in 1959. In the late 1960’s, he acted as the telephone UFO sighting report investigations coordinator for the UFO Research Institute of Pittsburgh. Stan began in the field investigations of UFOs and other mysterious events in 1965, and is the primary investigator of the December 9,1965, UFO crash-recovery incident that occurred near Kecksburg, Pennsylvania. In 1969, Gordon established a UFO Hot-line for the public to report UFO sightings to him to investigate. In 1970, Gordon founded the Westmoreland County UFO Study Group (WCUFOSG), the first of three volunteer research groups which he would establish to investigate UFO sightings and other strange occurrences reported in Pennsylvania. Since November, 1993, he continues to investigate and document strange incidents from across the Keystone state as an independent researcher. Gordon is a former PA State Director for the Mutual UFO Network (MUFON), and was its first recipient In 1987 of the MUFON Meritorious Achievement in a UFO investigation Award. Gordon has been involved with the investigation of thousands of mysterious encounters from across Pennsylvania. He has appeared on numerous local and network TV news and documentary shows, including the Syfy Channel (formerly the Sci-Fi Channel), Discovery Channel, History Channel, and Fox News Channel. He has been featured on many television shows, including Unsolved Mysteries, Sightings, Inside Edition, A Current Affair, and Creepy Canada. Gordon has been the focus of numerous national and international newspaper stories and magazine articles, some of which include the Pittsburgh Press, The Philadelphia Inquirer, and the Denver Post. He has been a guest on many national and international radio shows, including the popular radio show Coast to Coast. Gordon is also the producer of the award winning 1998 video documentary, Kecksburg: The Untold Story. He is also the author of the books, Really Mysterious Pennsylvania, Silent Invasion: The Pennsylvania UFO-Bigfoot Casebook, and Astonishing Encounters: Pennsylvania’s Unknown Creatures. He has written numerous articles about UFOs and strange encounters, and many books and publications have included his research as well. Stan also writes a column for the quarterly magazine, The GATE To Strange Phenomena. Since the late 1960’s, Gordon has been lecturing to the public on the UFO subject presenting illustrated lectures locally and nationally to social and professional groups, schools, colleges, libraries, and conferences. Among others, some of his lectures topics include a synopsis of Kecksburg UFO crash case, UFO and Bigfoot incidents, and mysterious creature encounters. He was the keynote speaker at the first World UFO and Paranormal Expo in Denver, Colorado in 2004. Stan was a keynote speaker at the 2011 McMinnville,Oregon UFO Festival. He was a speaker at the 2012 East Coast MUFON UFO Conference in Philadelphia and has been a speaker numerous times at the Mothman Festival in Point Pleasant, West Virginia. He was a speaker for the first CRYPTIDCON Conference in Frankfort, Kentucky in 2017. In more recent years he was seen on The Close Encounters series on the Science Channel, Monsters & Mysteries in America on the Destination America Channel, Monumental Mysteries on the Travel Channel, In Search of Aliens on H2, and UFO Conspiracies on the Science Channel. Stan continued to be very busy in 2017, and was involved with various media projects, and appeared on many radio shows as well as speaking engagements at various events and conferences throughout the year. During 2018, Stan was featured in the new documentary film “Invasion On Chestnut Ridge.” Look for Stan to appear at many events, and taking part in many media projects in 2018. He will also make a cameo appearance in the new family film “A Wish For Giants” that will premiere in February. See www.awishforgiants.com for details. The year 2019, will mark 60 years of research for Stan into the UFO & Bigfoot phenomena. Stan will be speaking at many events in 2019 and will be featured in a new film “Paranormal Bigfoot” that is scheduled for release in January of 2019. 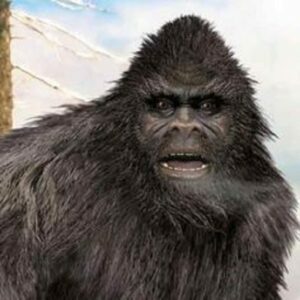 He will also be appearing in the new miniseries “On the Trail of Bigfoot” that will also be released in 2019. For updated reports on UFO sightings and other strange incidents, as well as upcoming lectures and other events check out Stan’s website: www.stangordon.info. Ed Kelemen is a writer, columnist, and playwright who lives in a small West Central Pennsylvania Town with two of his five sons, a humongous dog, a clutch of attitude-ridden cats, a large turtle, a rabbit, and whatever other rodents decide to brave the winter inside. They all share an ancient house with a trio of haunts who are more entertaining than anything else. Ed’s articles and short stories have appeared in numerous local, regional, and national publications. I love Pennsylvania, its history, its traditions and folklore, and especially its place as one of the most haunted states in the country. Come on along and enjoy these tributes to its history and haunts. Take a trip on part of the nation’s first coast-to-coast highway and rub elbows with long- departed heroes, scalawags, frontiersmen, and ladies-in-white. Learn about love that endures even after death. Meet a trainman who warns his fellows about danger, even after he himself has already yielded to a hazard of the rails. And maybe, just maybe you can indulge in a festive game of hide-and-seek with some playful juveniles from beyond t he pale. 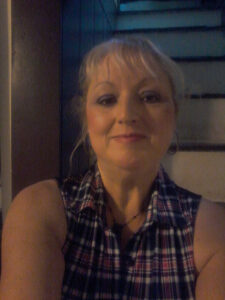 Author, historian, and paranormal researcher Patty A. Wilson has lived her entire life in Pennsylvania researching, investigating and writing about Pennsylvania’s extensive paranormal history. Ms. Wilson lives near her three sons and their families. She works in the field of psychology and has been investigating the paranormal and documenting it for nearly thirty years. To date, Ms. Wilson has written 28 books including Haunted Pennsylvania, Pennsylvania’s Lost Treasures, The Big Book of Pennsylvania Ghost Stories and A Ghost Hunter’s Tales. Ms. Wilson has appeared on Travel Channel’s Mysterious Journeys, Biography Channel’s My Ghost Story and was a consultant for the first episodes of Ghost Hunters.